Hannah Kushnick of Publisher’s Weekly features The Displaced: Refugee Writers on Refugee Lives for BookCon 2018. 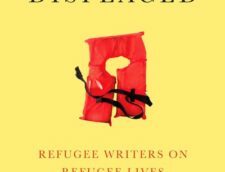 The Displaced: Refugee Writers on Refugee Lives, a startling anthology of essays by various authors, was the brainchild of Abrams executive editor Jamison Stoltz. 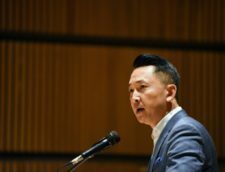 He was, according to the anthology’s editor, Viet Thanh Nguyen, “moved by the protests against the Muslim ban at New York airports” partly because his wife was a refugee when she came to the United States, and he wanted to do something to help people in that situation. 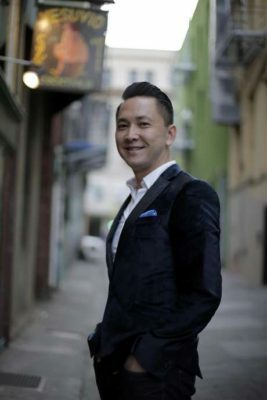 He recruited Nguyen—the Pulitzer Prize–winning author of the novel The Sympathizer, the scholarly study Nothing Ever Dies, and the short story collection The Refugees, all about the experiences of refugees from Vietnam, from which he and his family fled in 1975—to help create a book that would raise awareness of issues surrounding displacement and funds for refugees. The result is The Displaced, which was released by Abrams in April. A portion of its proceeds will benefit the International Rescue Committee, a humanitarian aid organization that offers assistance to refugees. 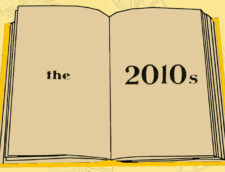 The contributors and their stories vary widely: Fatima Bhutto describes a visit to an immersive virtual reality installation designed to simulate the experience of crossing the Mexico-U.S. border; Ariel Dorfman rhapsodizes about the joys of a pan–Latin American grocery store in his adopted home; Joseph Azam remembers the significance of name changes to his experience of cultural assimilation; Aleksander Hemon narrates the story of a fellow Bosnian refugee who changed his name from Kemal to Kemalemir to remain connected to his deceased brother, Emir.